Regardless of their size, engines are vulnerable to the threat of engine dirt even as they roar with heat and energy to covert raw fuel into horsepower. Filtration is the key to preventing costly repairs caused by such contaminants. 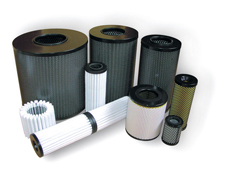 S. W. Industrial Filter Tec Services can meet all of your filtration requirements. For construction or agricultural equipment, long haul highway trucks, small engines, and personal vehicles, we have a complete line of sophisticated filtration products designed to offer the best protection against virtually all harmful engine contaminants. S. W. Industrial Filter Tec Services carries air, oil, fuel, hydraulic, and transmission filters from recognized and reputable brands such as Donaldson, Fleetguard, and Purolator. Donaldson is a leading worldwide provider of filtration systems and replacement parts, with a legacy of quality products ever since it was founded in 1915. Fleetguard is another leading supplier, offering more than 12,000 products under its broad family of brands. Purolator has been around since 1923 and has more than 2,000 part numbers for automotive, light truck, and heavy duty applications. The quality record of these brands speaks for itself, which, in turn, has helped S. W. Industrial Filter Tec Services establish our own reputation in the market of filtration systems.